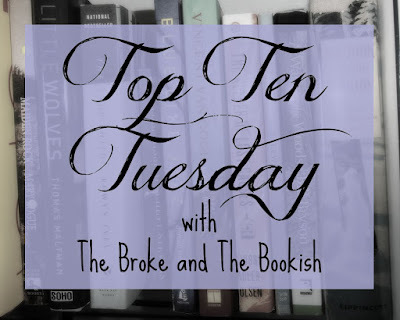 Top Ten Tuesday this week is actually not book related at all but TV. 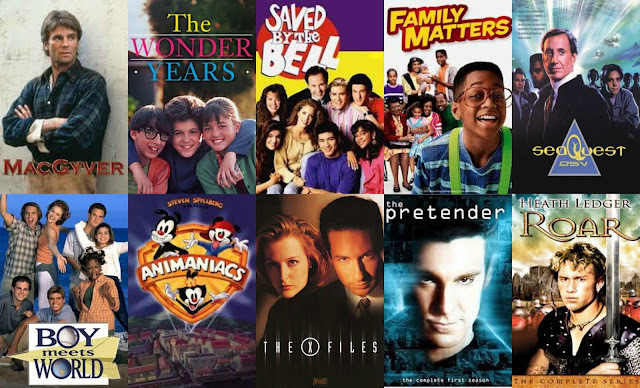 So, in honor of it being back to school time and all, I'm going to share ten of my favorite shows from my school age years. Now, I graduated in 2001, so all these have been off the air for quite some time, but they deserve a trip down memory lane. MacGyver (1985-1992)- Loved Macgyver! He could fight off bad guys with a paper clip, chewing gum, and a lighter. I'm pretty sure I didn't understand a lot of the episode since I was 9 when it went off the air, but I really liked it all the same. My mom tells how I used to get excited when it came on every week. I actually bought my brother season one for Christmas a few years back and we had fun watching it. 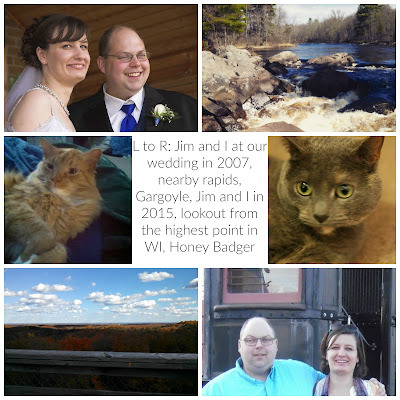 It was cheesier than we remembered, but still fun. The Wonder Years (1988-1993)- I was pretty young when this show started, and I didn't even realize it was set in the 1960s and 1970s until after it was off the air. But something about Kevin and Winnie and Arnold, I just loved. Saved by the Bell (1989-1993)- I spent many a Saturday morning watching this. Some of the shine has faded as the actors grew up and you hear horror stories of how the cast was behind the scenes, but at the time I loved Jesse and Zach. They were definitely my favorites. Family Matters (1989-1998)- Ah Family Matters. Cranky Carl, dorky Steve, suave Stefan. TGIF was always my favorite block of TV programing. I loved Step by Step, Full House, all of them. SeaQuest DSV (1993-1996)- Perhaps the first sci-fi show I loved. It didn't hurt that it had Tiger Beat heart throb Jonathan Brandis in it, playing the child genius who communicated with a dolphin. Boy Meets World (1993-2000)- Another TGIF show. This had my other childhood crush, Rider Strong. I still haven't seen Girl Meets World. Animaniacs (1993-1998)- The only cartoon to make the list. I remember thinking this was hilarious. There was usually a Pinky and the Brain sketch in each episode, which were always my favorites- two lab rats who were bent on taking over the world. Brain was smarter than a normal lab rate and Pinky was his English accented, dopey side kick. The X-Files (1993-2016)- Moulder and Scully. The perfect team. I had to sneak episodes of this one because my mom was convinced it was too scary/evil for me to watch. Scully rocks an amazing assortment of pant suits and Moulder has some of the widest ties I've ever seen. They were cool and funny and took turns saving each other. I really wanted to be Scully and work with Moulder when I grew up. The Pretender (1996-2000)- A young man escapes from The Center, where he's spent his whole life. He's a genius and uses his talents to help people who have been wronged, all while running from goons The Center sends after him. What's not to love. Roar (1997)- If you enjoyed Hercules or Xena, this show would have been right up your alley. It was only on for one year, and starred Heath Ledger, before anyone knew who Heath Ledger as the lead. Vera Farmiga played one of his sidekicks. It was at the height of Riverdance and the popularity of all things Celtic. I used to tape the episodes on VHS and watch them again and again, and was very heartbroken it wasn't picked up after it's initial season. So do you remember any of these? Or what shows did you always watch when you were in school? Drop me a comment below and check out everyone's tv themed list. Omg you're the only other person I know who's heard of Roar!!! We loved Heath Ledger before anyone else! You're the only other person I know who knows of Roar! Maybe that's why it got canceled, you and I were the only ones watching. :) I kind of would like to see it now and see if it was half as good as my fourteen year old self thought it was. Animaniacs! They were crazy. I remember one episode where they were feeding cartoon Roger Ebert popcorn while he watched a movie and he says how the butter is so good or something and they tell him it's because it's the fat they've been liposuctioning out of his belly. And then it zooms out so you can see that is exactly what's happening. Who puts that in a children's cartoon? It's funny and disturbing at the same time. And apparently the writers and/or animators weren't a fan of Eberts! I loved "The Wonder Years," "Boy Meets World" and "Family Matters." I liked all of the TGIF shows, especially "Full House"! I also remember watching a lot of "Little House on the Prairie" reruns with my mom. Oh yes! I forgot all about Little House. My mom and I used to watch that together too!